Lothian have launched a new cross city service for Edinburgh Airport customers, boosting the company’s existing airport services and creating new links for residents and visitors to the city. 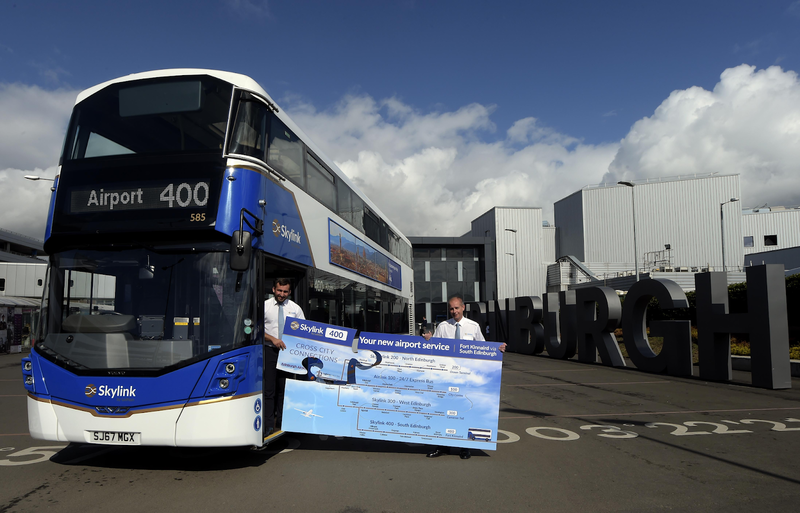 Skylink 400 will connect Edinburgh Airport with Fort Kinnaird via Gracemount, Oxgangs and Colinton, introducing vital links for customers from the south east and south west of the city directly to the airport. Lothian’s other airport services consist of Airlink 100, Skylink 200 and Skylink 300, which has also been re-routed to now serve Cameron Toll, linking air travellers with hotels and guest houses in the Southside of the city. To mark the launch of the new service, Lothian staff spent the morning of the launch in International Arrivals handing out tickets to potential customers.